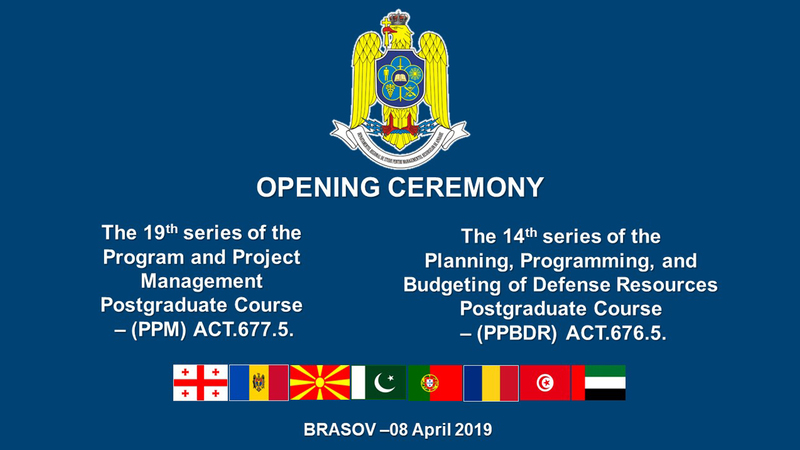 "Postgraduate Defence Resources Management Course for Senior Officials"
"Program and Project Management Postgraduate Course" - ACT 677.5. and "Planning, Programming and Budgeting of Defense Resources Postgraduate Course" - ACT 676.5. 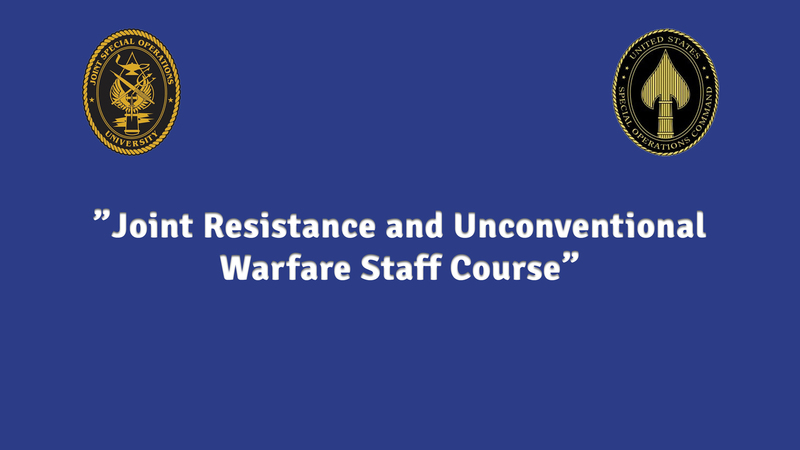 „Defence Resources Management Postgraduate Course” - ACT 715.3. 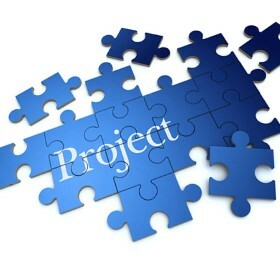 „Information Security Management Postgraduate Course” - ACT 675.5. 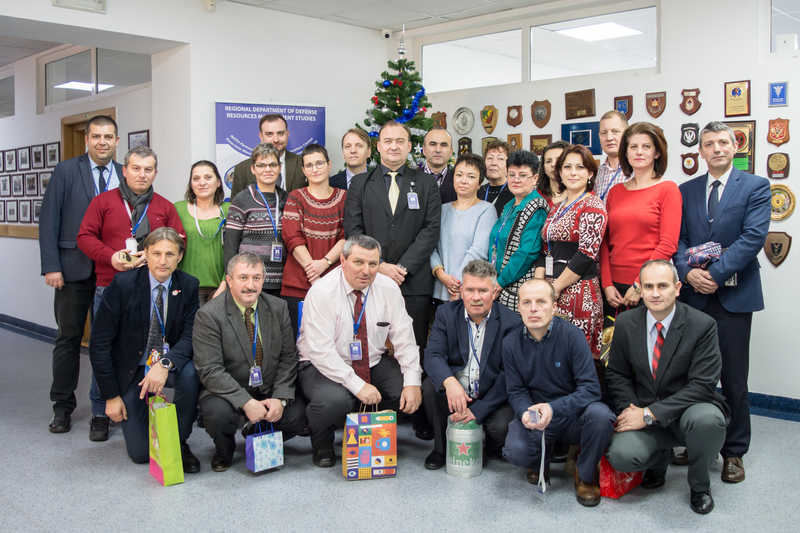 On Christmas and New Year celebrations, DRESMARA wishes all collaborators, students and graduates all the best in the world, health, happiness and prosperity. 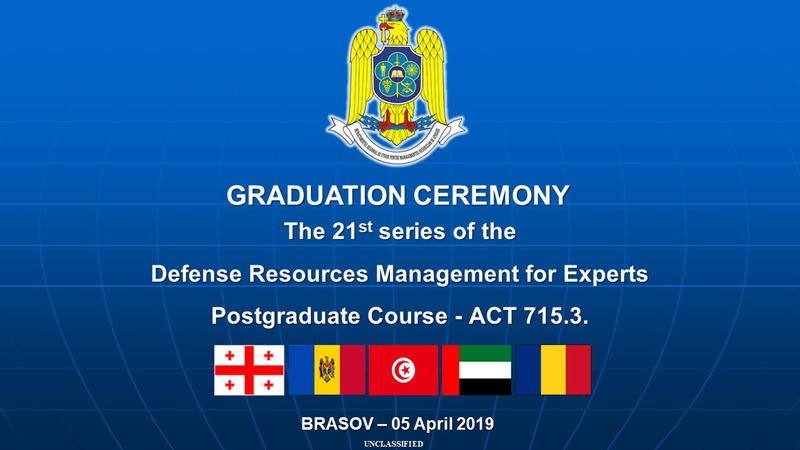 On 05 April, 2019 it took place the Graduation Ceremony of the 21st iteration of the „Defence Resources Management Postgraduate Course” - ACT 715.3. 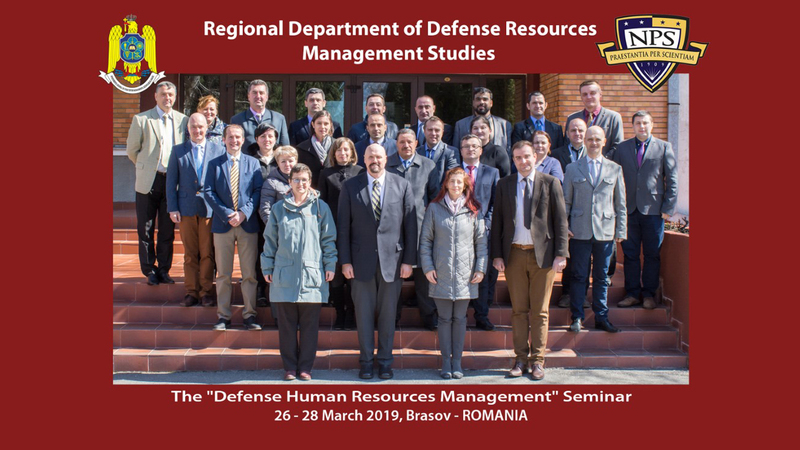 From 26 to 28 March 2019, Commander (ret) William D. HATCH II, Senior Lecturer and Program Manager, Executive Masters Business Administration, Manpower & Economics Department/ Graduate School of Business and Public Policy/Naval Postgraduate School, Monterey, S.U.A, delivered the ”Human Resources Management” Seminar. 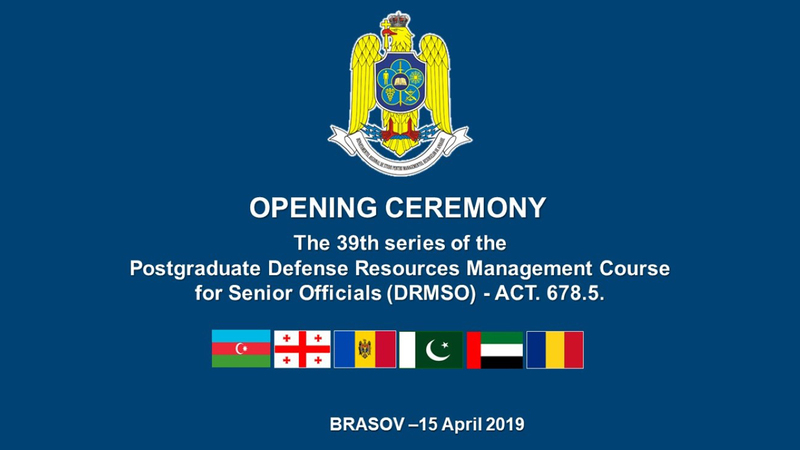 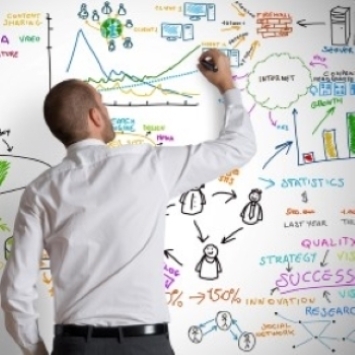 ONLINE TRAINING COURSES "Resource Management in NATO"
The Center for Scientific Research in the Field of Defense Resources Management (CCS-MRA) was established by the Decision Senate of the National Defense University (UNAp) "Carol I" dated 17.02.2010 and operates in accordance with art. 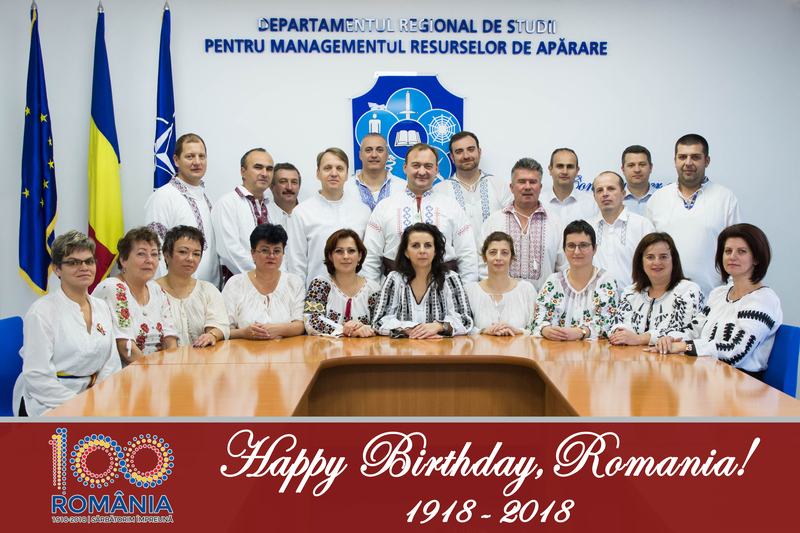 8 par. 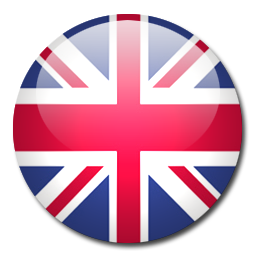 (1) (b) of the UNAp "Carol I" Scientific Research Regulation (approved by Senate Decision No. 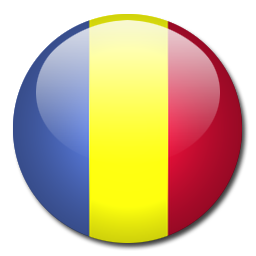 82 of 30 October 2013). 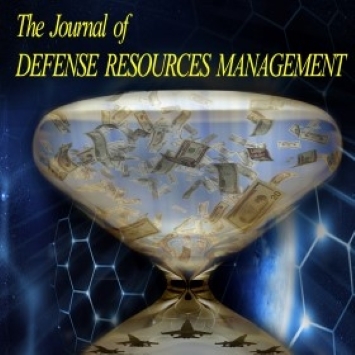 Journal of Defense Resources Management (JoDRM) released by the Regional Department of Defense Resources Management Studies (DRESMARA) of Brasov, Romania is a biannual, scientific peer-reviewed publication. 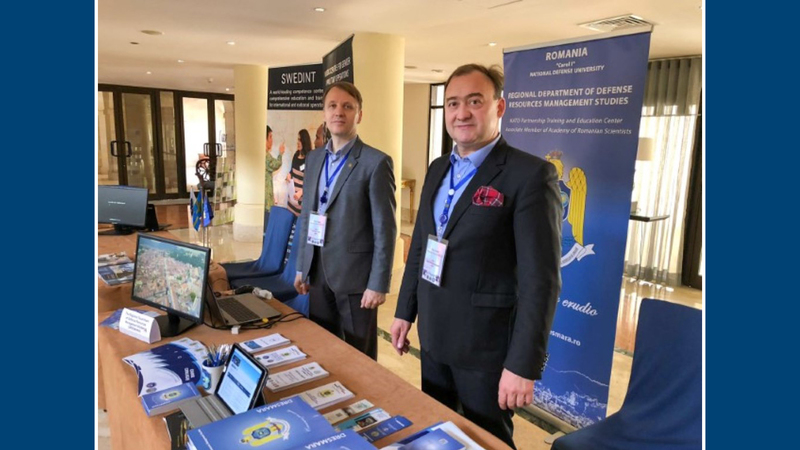 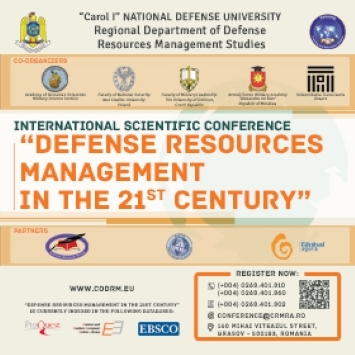 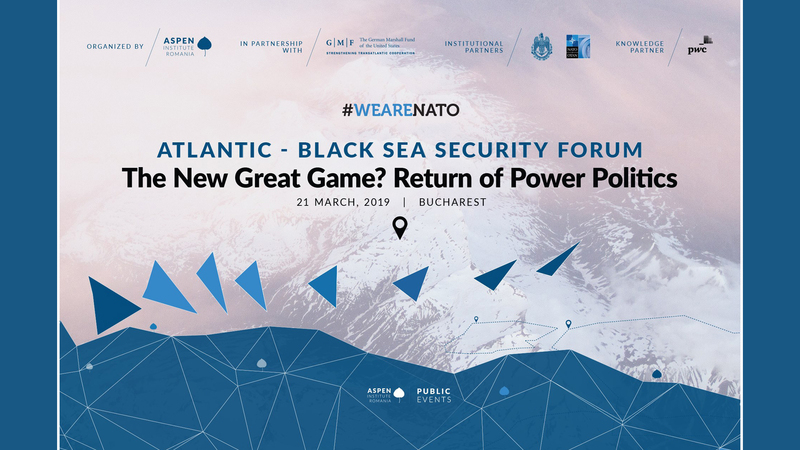 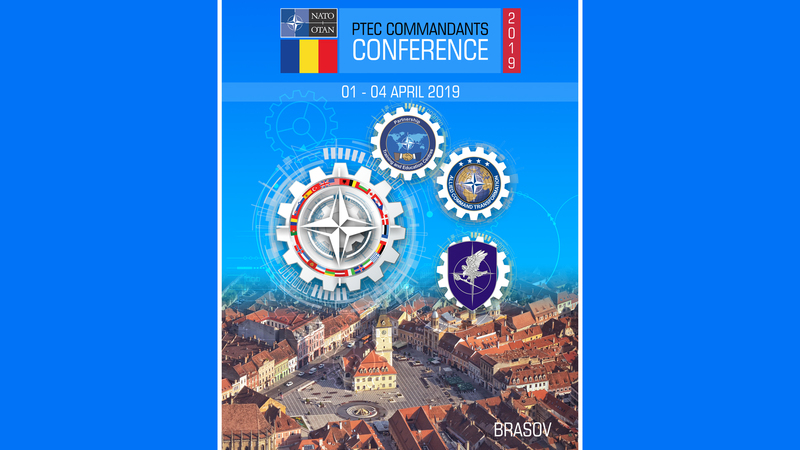 “Defense Resources Management in the 21st Century” is a scientific conference with international attendance organized yearly by the Regional Department of Defense Resources Management Studies (DRESMARA), Brasov in collaboration with the "DRESMARA’s FRIENDS" ("Prietenii DRESMARA") Association.